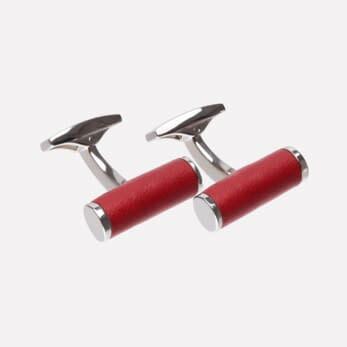 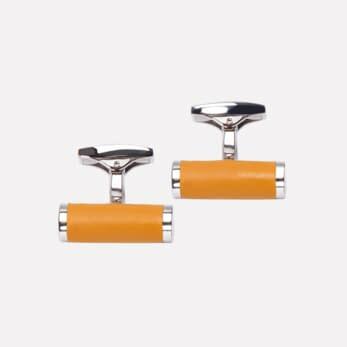 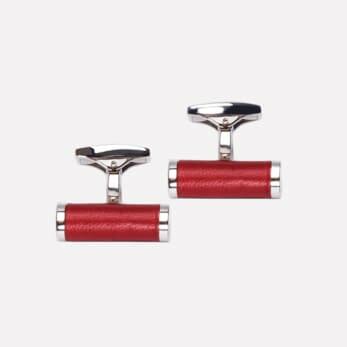 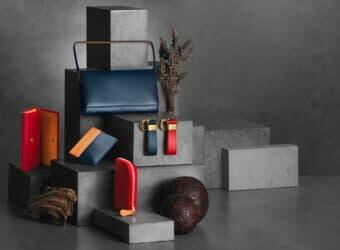 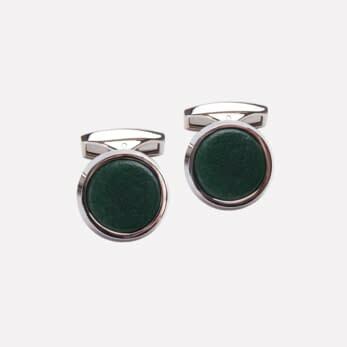 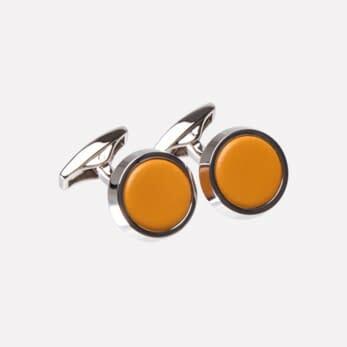 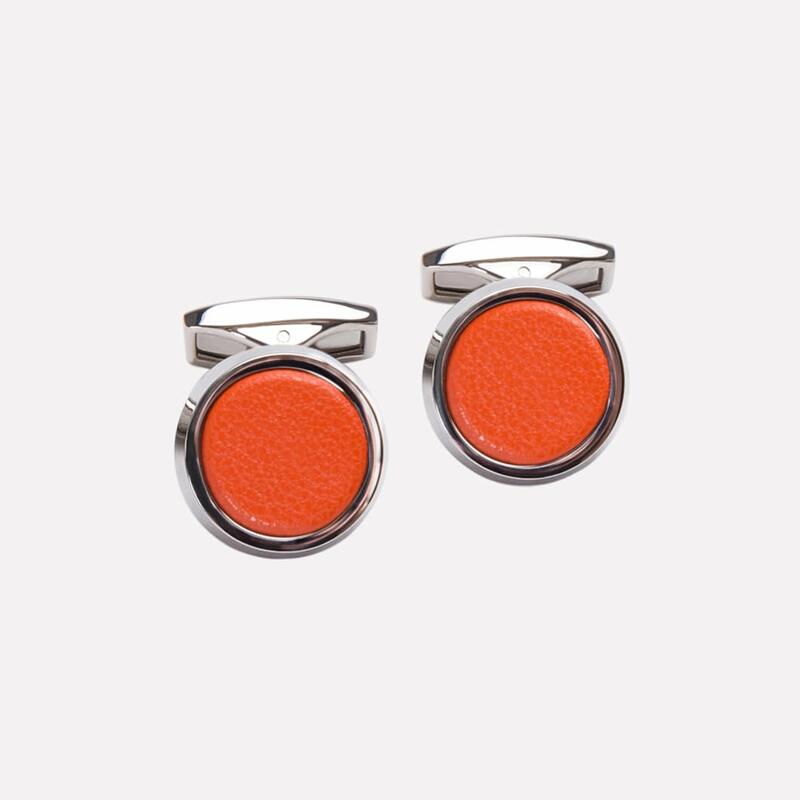 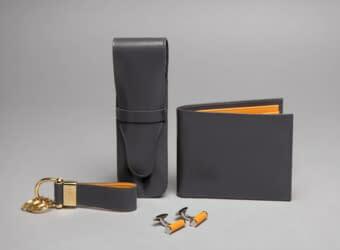 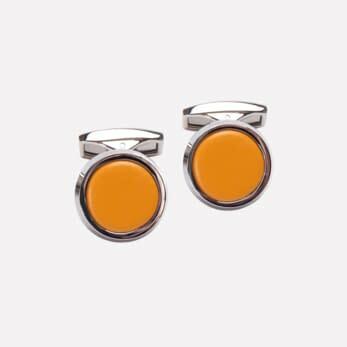 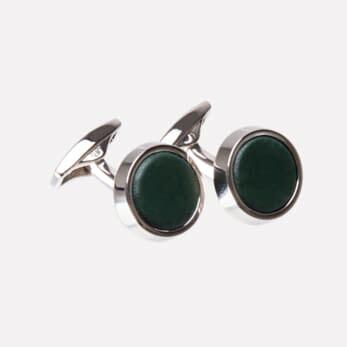 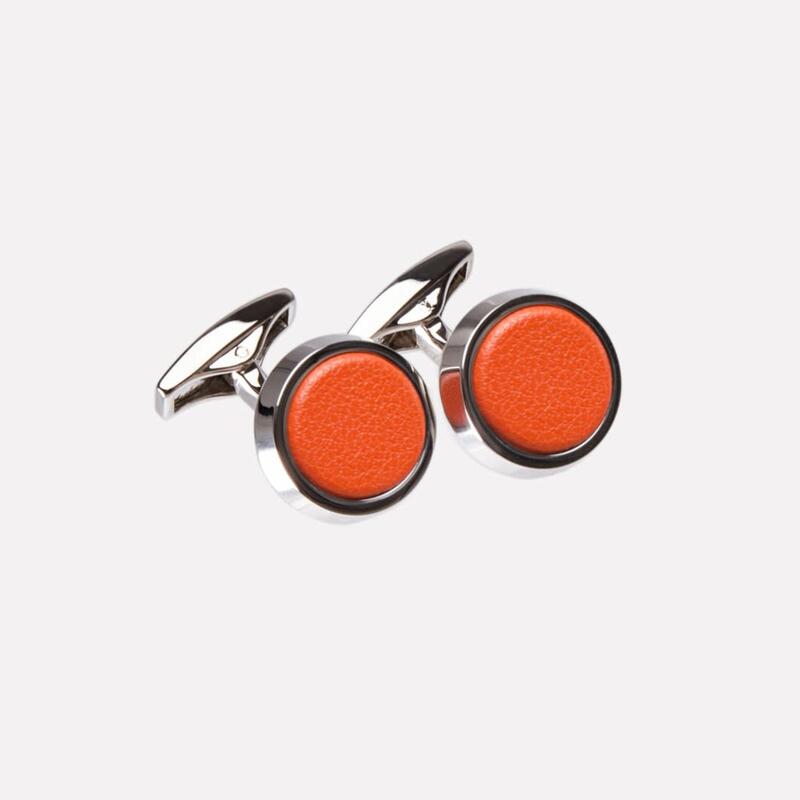 Bring a little colour to your double cuffs with these round metal cufflinks encasing an orange leather inlay. 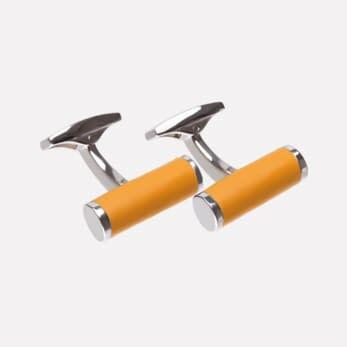 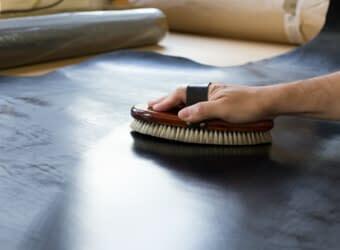 The solid brass parts have been designed to easily slide through the cuffs in the open position but to remain firmly in place when turned into the closed position. 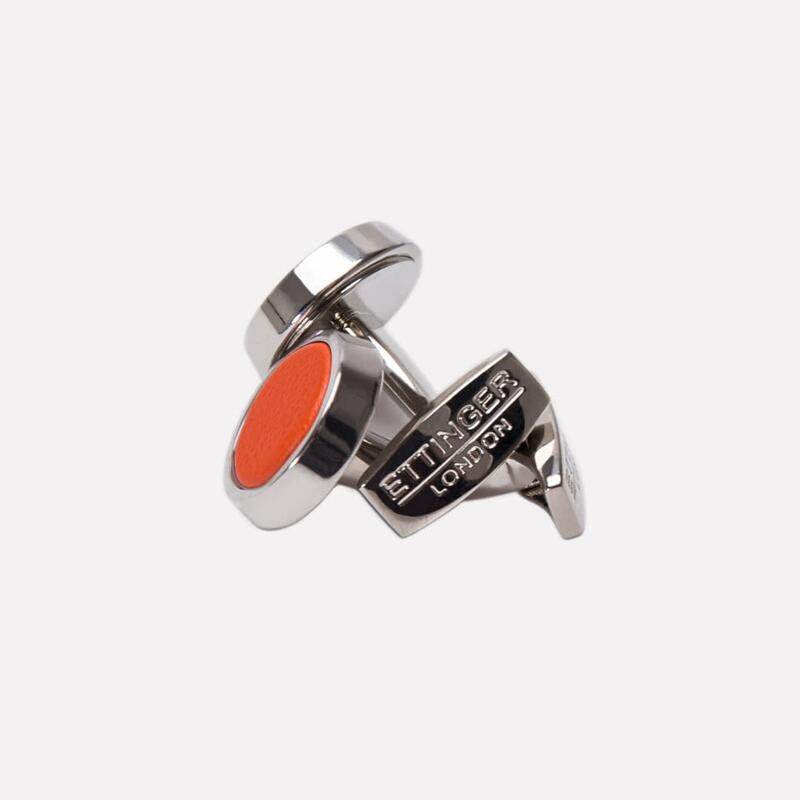 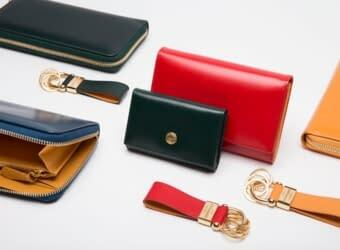 Features list: a hinged pin.